While Anushka tweeted a selfie with the caption: "My moon, my sun, my star, my everything", Virat addressed his wife as: "My life. My universe." 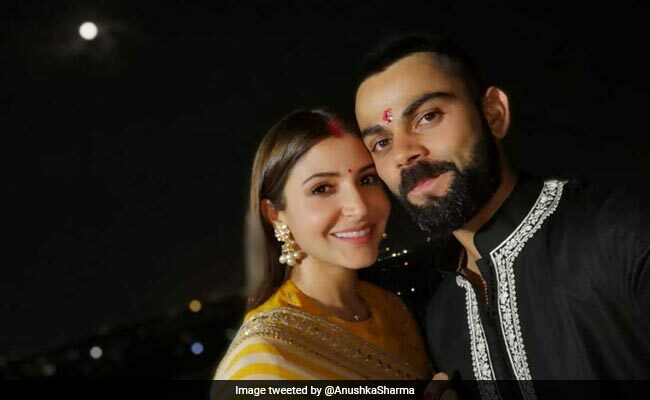 Anushka Sharma and Virat Kohli, whose wedding sealed 2017 on a celebratory note, celebrated their first Karva Chauth this year and how! Needless to say, the busy celebrities sliced out time from their jam-packed rosters to be with each other on the special occasion of Karva Chauth. Both Anushka and Virat shared adorable posts on their respective social media accounts and it's really hard to tell whose message is cuter. While Anushka tweeted a selfie with Virat with the caption: "My moon, my sun, my star, my everything. 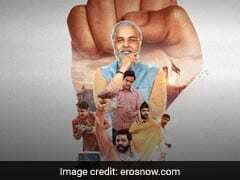 Happy Karva Chauth to all", Virat addressed his wife as: "My life. My universe." Aww. How cute is that? Last month, Virat Kohli's super-adorable post for Anushka Sharma received a whole lot of love from the Internet. After Virat was honoured with Rajiv Gandhi Khel Ratna award - the country's highest honour in sports - Virat addressed a heart-felt note to his actress wife and wrote: "The person that inspires me to push forward despite all obstacles. The person that guides me to do the right thing in life against all odds. The person that has changed me inside out and made me realise the power of true love." Virat Kohli and Anushka Sharma often feature in loved-up posts on each other's social media accounts. In December 2017, the couple had a destination wedding in Italy and wrapped the festivities with two grand receptions - on in New Delhi and the other in Mumbai. On the work front, Anushka Sharma was last seen in Sui Dhaaga, which opened to critical acclaim and performed impressively at the box office. The 30-year-old actress will next be seen in December release Zero, co-starring Shah Rukh Khan and Katrina Kaif. On Saturday, Virat Kohli became the first Indian batsman to score three consecutive centuries in ODI cricket.